If you think it’s tough sitting on the sidelines with your girlfriends waiting for a guy to talk to you, then you aren’t looking at the guy’s situation. He has to walk over and make contact with you while you’re surrounded by your girlfriends. You have support – he’s going it alone. If his approach works, he wins. If he fails, he has to endure the snickers of your girlfriends and walk back to the smart remarks by his guy friends. Every time he gets rejected, he relives that awful moment in junior high school when he was embarrassed at the school dance. It’s a wonder guys even try. That’s enough sympathy – women have their share of dating issues, too. The point is – what can you do as a female to be more approachable for the right kind of guys? Help them out a little. To begin with, you can start a conversation. Not a female version of a pickup line, but a real conversation. That’s flattering, which immediately gets his attention and gives him a chance to join the conversation if he’s interested – or say, “You’re welcome” and move on if he’s not interested. Maybe this helps you start to think of places and situations where you could throw out a non-sexual opening line for a guy to follow and start a conversation. Since you spoke first in a gracious manner, he has some assurance that you’re willing to talk, which makes it easier for him to follow your lead without feeling like he’s being manipulated. Is this just manipulation? 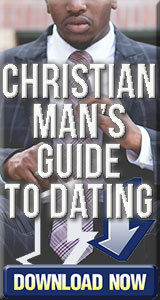 No, it’s not – as long as you offer sincere comments and have an open mind about getting to know him. Can you start a conversation with a man on the street or in a restaurant without a reason? Yes, you can – no one is going to report you to the Manners Police. Think about where you are and what’s going on around you. Starting a conversation with a man in a crowded bar on Friday night is likely to be interpreted differently than making small talk while you’re in the same airport waiting area with him. Place and time has a lot to do with whether you appear approachable and interesting or desperate. And if you aren’t willing to strike up the conversation, at least be inviting for men who have to work up the nerve to talk to you first. Make sure your arms aren’t folded in front of your chest or that you aren’t rolling your eyes and scowling at everyone and everything around you. Be pleasant and smile and even if he’s not your type, that doesn’t mean you can’t be friendly to someone who took the time to try to get to know you.